Jovees 24 Carat Gold Massage Gel penetrates the skin easily and helps to accelerate the regeneration of new cells, while delaying the formation of lines and wrinkles. A powerful rejuvenating massage gel that also helps improve blood circulation and restores softness, smoothness and radiance. Jovees 24 Carat Gold Maximum Moisturiser contains pure gold along with precious botanicals and essential oils, which help to restore the moisture balance to the skin and improves skin's elasticity. Massage gently Gold Gel into the face using upward and outward strokes. Then gently rub a small quantity of Jovees 24 Carat Maximum Moisturiser all over face and neck. Use once a day for youthful and flawless skin. 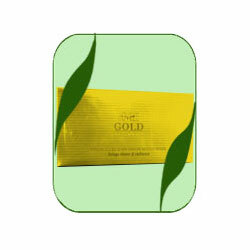 24 Carat Gold Leaves, Aloe Vera, Wheat Germ Oil, Grape Seed, Liquorice, Morus Nigra.